Are you trying to decide how to find a reputable rescue animal shelter? A key component for your search is finding a shelter that advocates for their animals’ health. 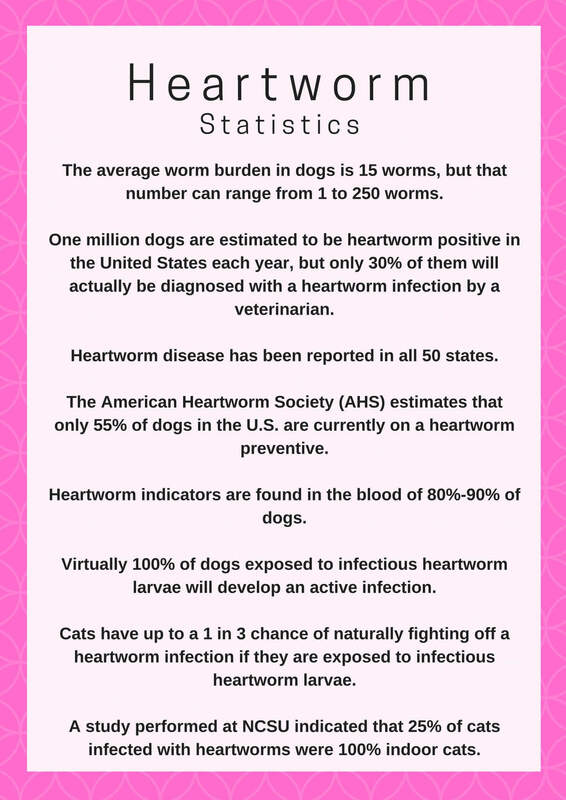 Heartworm is a very prevalent and serious disease that is easily contracted, and good rescues make sure that their animals are up to date on their shots to prevent this parasite from infection. So what is heartworm? The American Heartworm Society defines it as, “a disease caused by foot-long worms that live in the hearts, lungs, and associated blood vessels of affected pets, causing severe lung disease, heart failure, and damage to other organs in the body.” Heartworm disease can affect an animal’s health and quality of life even long after the parasites are gone. To better understand how to prevent heartworm from infecting an animal, it is important to understand the lifecycle of the parasite. This first stage of infection begins with an infected mosquito taking a blood meal from an animal. Infected third stage larvae living in the mosquito are deposited onto the surface of the animal’s skin from the mosquito’s proboscis. Immediately after deposition, these larvae, about 1mm long, enter the body using the puncture wound made by the mosquito. During the following weeks, the larvae migrate through the body tissues, and at 50-70 days post infection, the larvae molt into immature adults. Then, they start to make their way into the pets’ blood stream, which transports the worms to the heart and lungs. By day 120, they have all arrived in the small pulmonary blood vessels. They now begin to grow massively, pushing into larger and larger pulmonary blood vessels, until some worms finally end up in the pulmonary artery, close to the heart. By this time, an inflammatory process is elicited by the parasite. This leads to pulmonary hypertension and vascular resistance. In addition, once a worm dies, it can block a smaller pulmonary vessel completely, resulting in the obstruction of the blood supply to an organ or region of tissue, causing local death of the tissue. About 7-9 months post infection, the now sexually mature female worms start to reproduce offspring known as microfilaria that are released into the circulation. These females can grow up to 12 inches in length and can live 3-5 years in an animal’s body. The microfilaria circulate throughout the body, waiting for a mosquito to pick them up during a blood meal, thus continuing the cycle. Left untreated, the worms multiply and move into the chambers of the infected animal’s heart, impairing it’s function. If the parasite still goes untreated, the worms move to the liver and the immune system has an inflammatory response, resulting in early death. 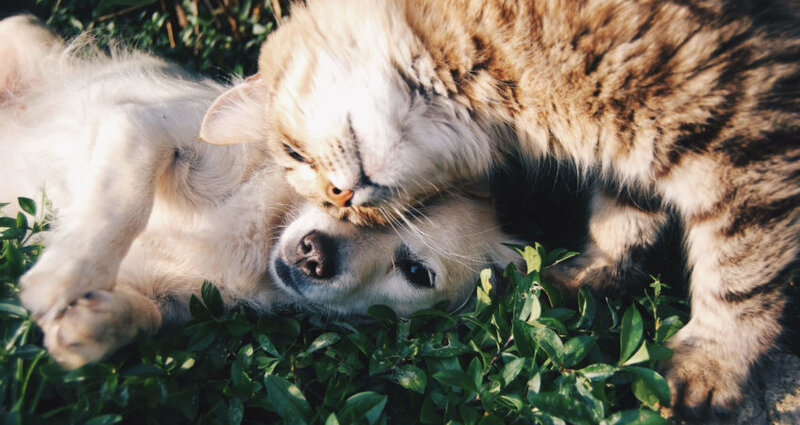 All pets are at risk of getting heartworm, and regions with a constant temperature above 65 degrees experience transmission year round. However, northern climates that experience cold winters may have a break in the heartworm cycle during the colder months. Look for part two of the heartworm series to learn what signs and symptoms to look for in your pet! “Heartworm Basics.” American Heartworm Society. N.p., n.d. Web. 16 May 2016. <https://www.heartwormsociety.org/pet-owner-resources/heartworm-basics>. “21 Compelling Heartworm Statistics – HRFnd.” HRFnd. N.p., 15 Dec. 2014. Web. 24 May 2016. http://healthresearchfunding.org/21-compelling-heartworm-statistics/.